Peggy Eddy, CFP, is President of San Diego-based Creative Capital Management Inc., a fee-only wealth management and financial planning firm. She and her husband/business partner, Bob, have been in practice 27 years serving entrepreneurs, many of whom are family business owners. 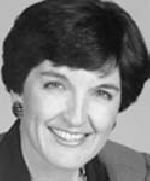 In 1992, Peg co-founded the Family Business Forum at the University of San Diego. Are you teaching your child to drive? Not a good idea. How about teaching your child to dance? An equally poor idea. What about teaching your child or grandchild how to handle money? Excellent idea! The national media periodically provides stories about families in business that are embroiled in intergenerational squabbles, financial tugs-of-war, pending divorces and firings of key family members. Reading copy such as this, one would surmise that there are few family-owned businesses that are truly success stories and that family firms, by their very nature, are doomed to fail. Not so. In general, when a family retains an outsider to come into their business it is usually because things just aren’t working. From my experience, there are three more definitive motivating reasons to hire a non-related individual for a family in business. Within the context of a family business, the words “family meeting” normally refer to scheduled gatherings of family business shareholders, their spouses, siblings and children to discuss topics that affect the family enterprise, including ownership-succession planning. Contrary to Oscar Wilde’s thinking — that "Life imitates Art far more than Art imitates Life" — the critically acclaimed PBS program “Downton Abbey” does imitate real life in its snapshot of the opportunities and threats that business families face. The classic image of a happy family gathered together in a Norman Rockwell painting is well known. Unfortunately, this kind of happy scene isn’t always replicated among family members who work together in a family owned enterprise. Since 1993, U.S. Trust has periodically surveyed high net worth individuals in the United States. Their latest survey, the U.S. Trust 2012 Insights on Wealth and Worth, interviewed 642 high net worth people nationwide. It is commendable that many business-owning families take the time, spend the money and make the effort to formulate a strategic business plan and annually revisit it. Unless all family members embrace the wisdom of this exercise and remain committed to carrying out the well-defined goals the family has identified during the planning process, this can be a difficult and tedious process. At times it is difficult to stress that working in a family business need not be a life sentence and that laughter and some actual F-U-N is highly recommended. This is not to say that a family in business needs to hire corporate clowns or conference room jesters. A family that works together can actually have fun without going overboard. Family employment: by encouragement or entitlement? One of the major issues that family businesses grapple with is how to bring members of successive generations into the family enterprise. Rather than relying on genetics as the sole criteria for joining the family enterprise, the most successful family firms are those that structure a well-designed employment policy early in the life of the business.